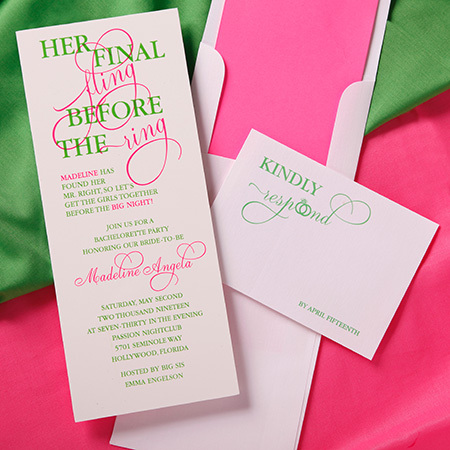 BACHELORETTE PARTY INVITATION - Kiwi and perfectly pink ink is shown on polished edge white 1/8� thick lucite. Perfectly Pink lining & kiwi respond card coordinate this package. Lucite is available in many sizes and shapes of mirror & colors as well as frosted, clear and electrified edges.